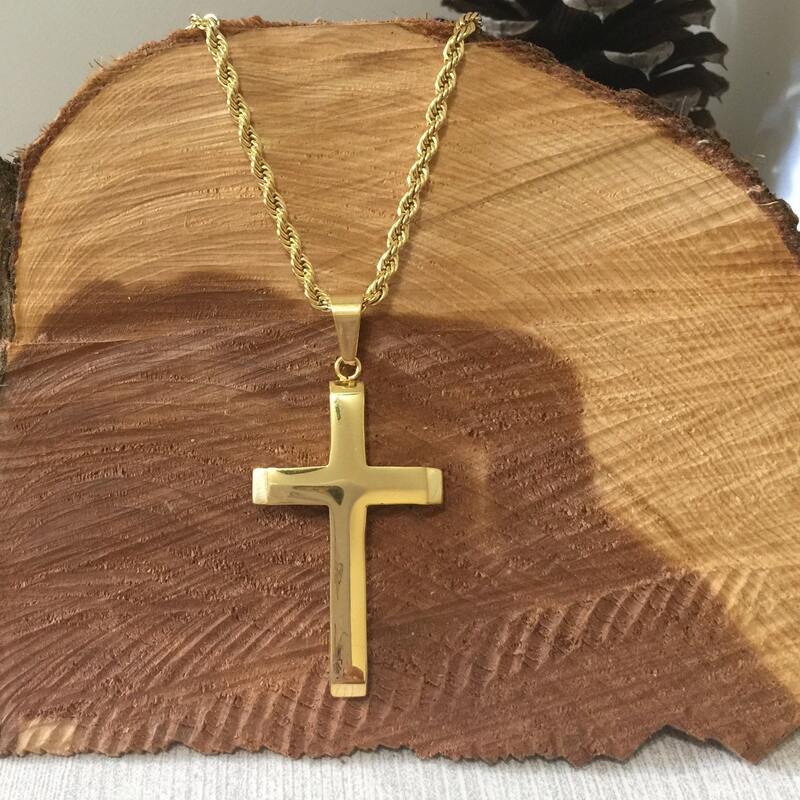 Gold cross necklace for men with a highly polished gold stainless steel thick cross with beveled edges. 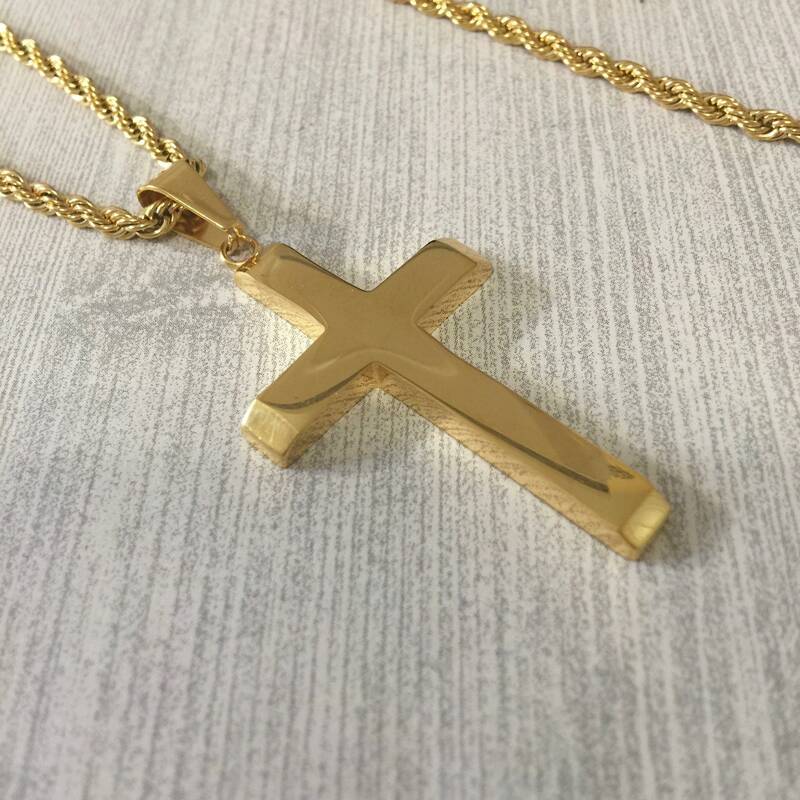 The gold stainless steel cross comes on a highly polished diamond cut 18K gold plate over stainless steel twisted rope chain. 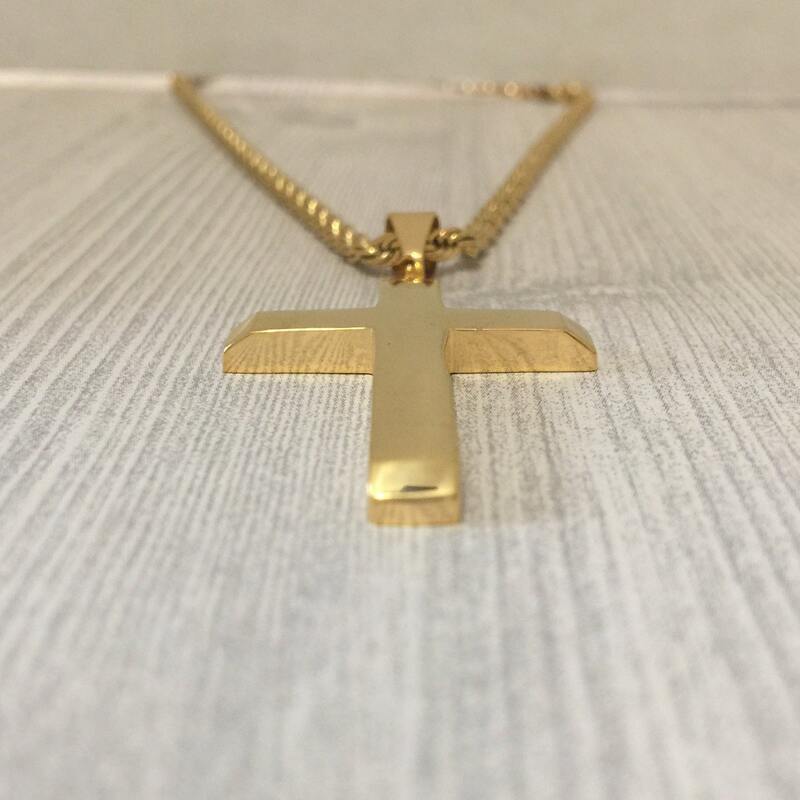 Both the cross and chain are made of strong 316L grade stainless steel in 3mm thick. Stainless steel is a very tough, tarnish resistant material. 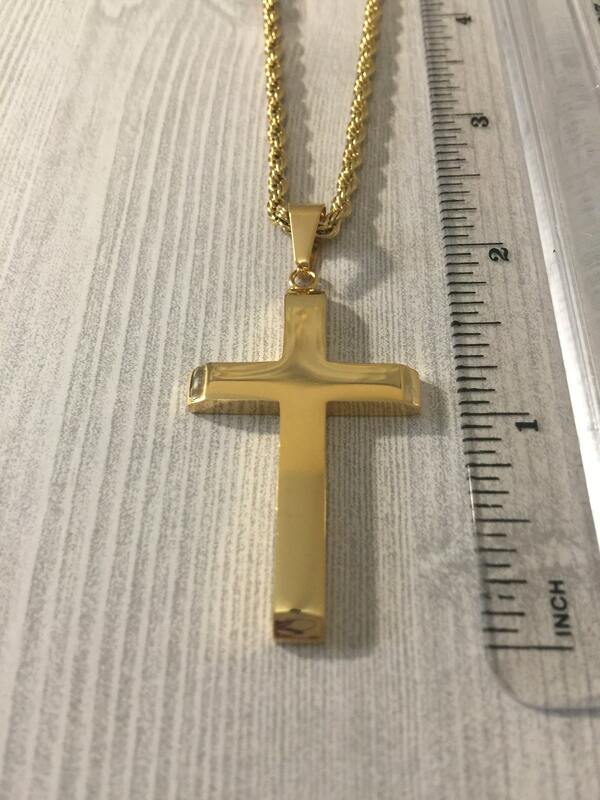 Please note that the cross with the attached clasp is about 2" in length and 1" across. 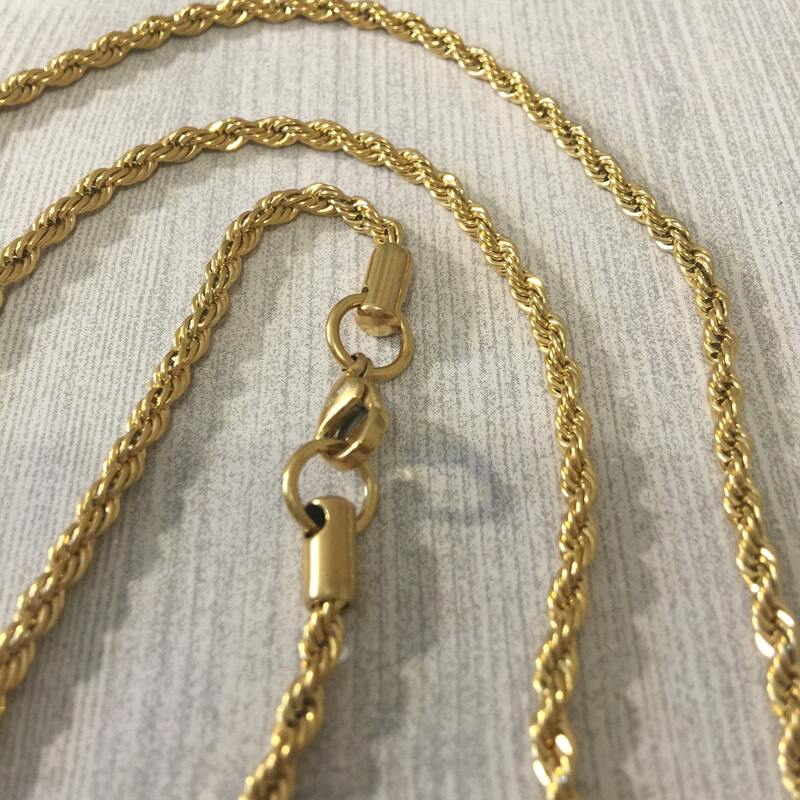 This is a very durable necklace, however with gold plating it should not be worn in the shower or exercising. 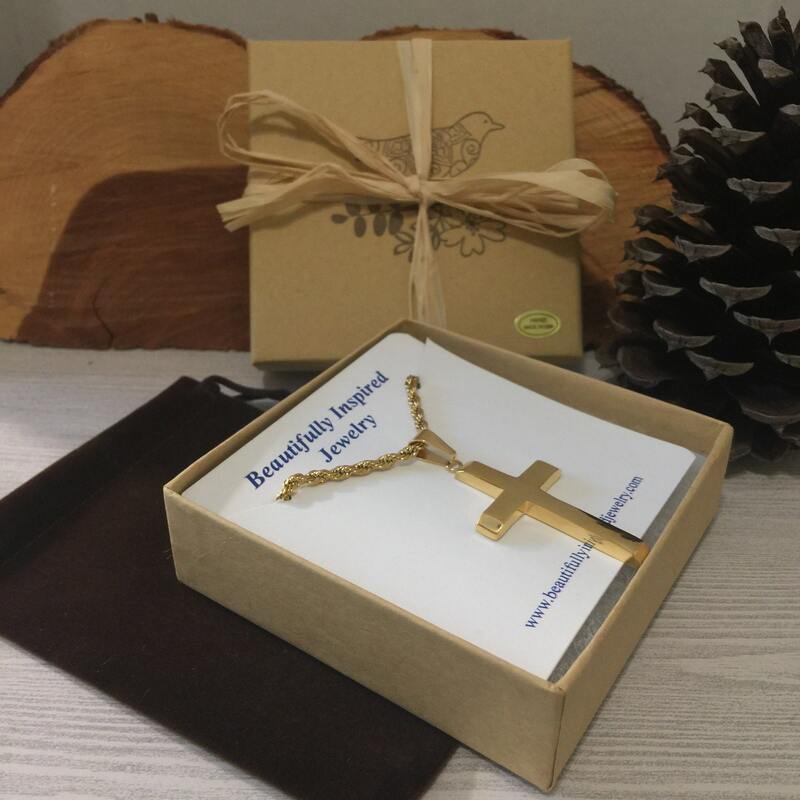 A wallet size scripture verse card Jeremiah 29:11 comes with the cross necklace. 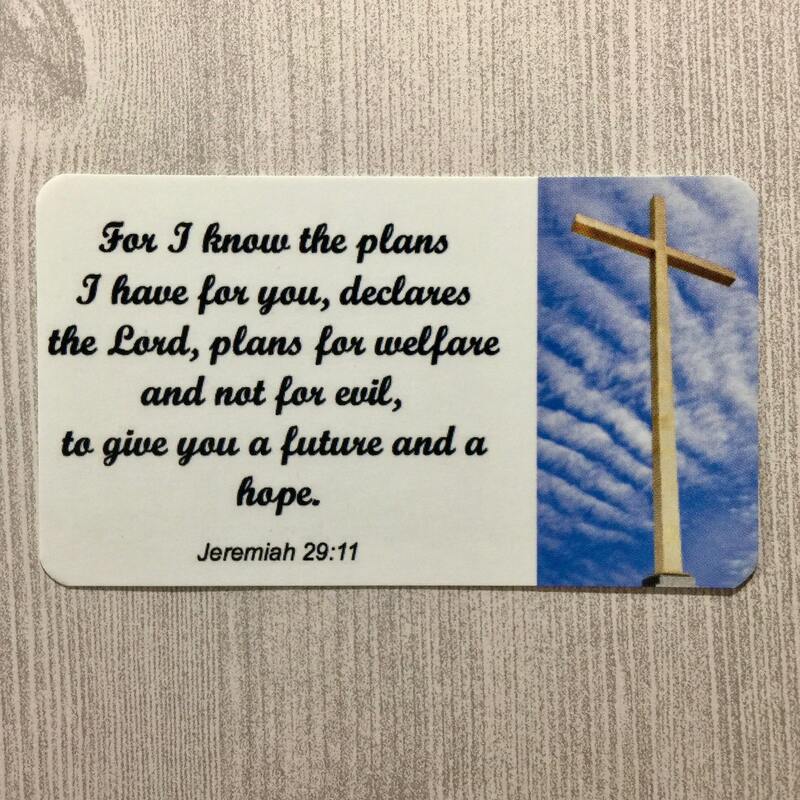 It carries a powerful message and reads: For I know the plans I have for you, declares the Lord, plans for welfare and not for evil, to give you a future and a hope. 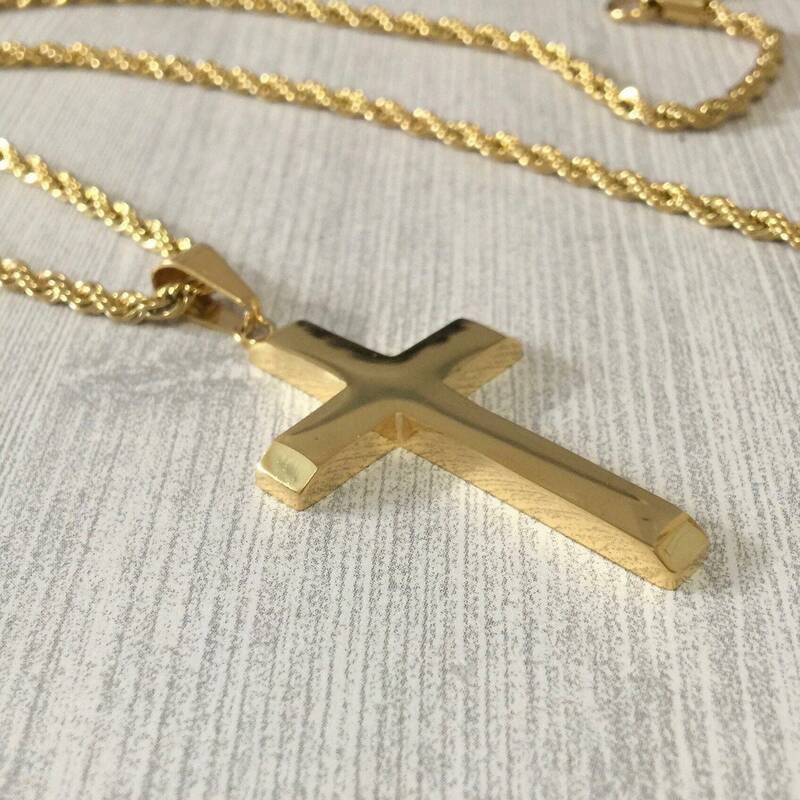 This is a very attractive cross necklace for men and makes a statement of their faith. 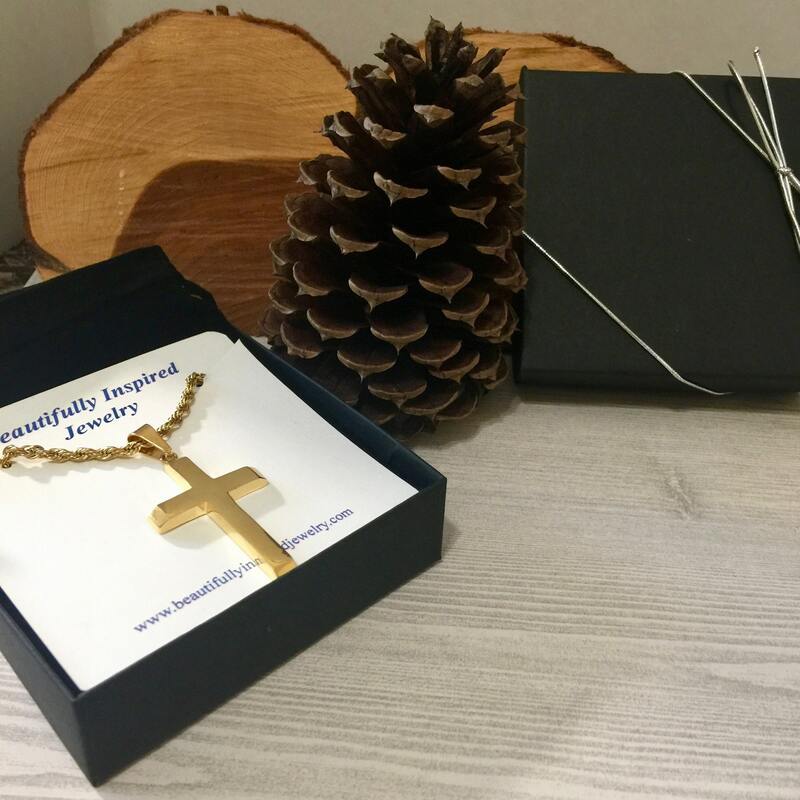 Gift box is available in black with silver cord, along with a black velvet jewelry pouch; or choose a natural kraft box with raffia palm ribbon with a brown velvet pouch. Beautiful, very happy with this purchase. Absolutely thrilled with this purchase! It came packaged with love and care, attention to detail and that just made the purchase all the better!